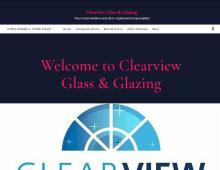 Clear View Glass & Glazing operates from the Wirral specialising in double glazing and conservatory roof repairs in Chester, Liverpool, Wirral and Ellesmere Port. For over 20 years Clear View has been carrying out uPVC repairs in the Wirral and Liverpool area. Clear View Glass & Glazing have an outstanding reputation for supplying and installing high quality double glazing products for homes and business. Do you have misted double glazing in Ellesmere Port, condensation in double glazing in Liverpool or misty windows in Chester? If so, Clear View Glass & Glazing can help with your double glazed window repair in Wirral, Chester, Liverpool or Ellesmere Port areas. Clear View Glass & Glazing has experienced domestic and commercial window fitters that can install replacement double glazed units in Ellesmere Port, Wirral, Chester and Liverpool or just replace the glass, saving you money! Whether your home or business has been vandalised or needs adhoc glazing maintenance, improve your property with double glazing replacement glass in Liverpool from Clear View Glass & Glazing. They also have a huge range of leaded and beveled glass double glazing and offer a cat flap installation service in uPVC doors. Is your conservatory roof leaking or are some of the roof panels misted with unsightly condensation? Clear View provides all types of conservatory roof repairs in the Wirral area. Free quotes available. For more information on new double glazing in Wirral, uPVC window repairs in Wirral or conservatory roof repairs in Chester, Liverpool or surrounding areas, contact Clear View Glass & Glazing.